Enjoy the official Pixabay app free of charge! Neither ads nor offerings for in-app purchases will be distracting you while browsing an endless stream of the most amazing free photos in the world. 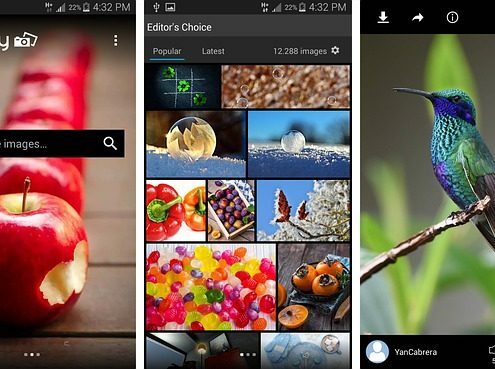 The app let’s you discover the latest Editor’s Choice pictures, search images by keywords, filter results by orientation or image type, browse by category, and a lot more. Reach out to the amazing image authors or get inspired by their contributed art works. Like or comment upon images, add them to your favorites, share images or download them to your device. 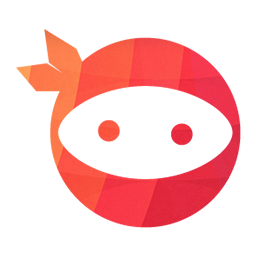 If you like, you can also select any image as your new background on Android or iOS. Chat bots are overtaking the planet. Or so it seems. Consumers can now book a flight, hail a ride, reserve a hotel room, buy clothes, manage their bank accounts online — now all without ever leaving the convenience of Facebook Messenger. There is just one tiny fly in the ointment. Bots might be the future, but “the future” accurately describes any and all the time between next week and when Elon Musk successfully colonizes Mars (and beyond). And while that bot-based future may well be glorious, it isn’t quite here just yet. For a simple reason, the bots are, well, still learning how to interact with humans correctly, and the learning curve has been a bit steeper than some had initially predicted. Said simply, the average bot is just not smarter than a sixth grader. And Webster is not alone in these observations. David Marcus, president of Facebook Messenger, whose big bot announcement early this year sent a million developers off to build an army of chatbots, has noted that bots are still in their embryonic phase and will need to undergo several rounds of evolution before they become a truly useful and desirable part of the ecosystem. Wired made a similar point over the summer. Bots are at their beginning and, as such, work better in concept that in actuality. Within the past year, hotel brands have made headlines for their adoption of various messaging channels, as well as for the development of their own messaging systems. Consumers have taken quickly to messaging platforms like Facebook Messenger, WeChat, Snapchat, WhatsApp, Viber and others, on top of their existing SMS abilities. Hotels are realizing a great opportunity to engage and provide service to their guests by following suit. Both Hyatt and InterContinental Hotels Group (IHG) use Facebook Messenger as part of their messaging strategies. Starwood EAME plans to add it as well. Hyatt was also the first hotel chain to announce at the end of 2015 they are testing Facebook’s new “Businesses on Messenger” tool for guest service. Hyatt has also been using Asian app WeChat to connect with the Chinese market. Shangri-La uses WeChat for content marketing campaigns. Starwood has experimented with WhatsApp, as well as with Blackberry Messenger. Other brands have added messaging functionality to their existing apps. Marriott International is testing this out, and it’s something Hilton plans to add to its app next year. With their Lucy app, Virgin hotels let guests not only message hotel staff but also communicate with other guests, too. Meanwhile, Kayak has taken the approach of launching a chatbot on the Facebook Messenger Platform. The real-time, immediate and personal nature of messaging is part of what makes it such a compelling engagement channel for hotels. But messaging as a medium also has other characteristics that make it well-suited to guest engagement. It’s conversational, much like traditional interaction between guests and staff. It’s also threaded and tied to an identity, which means context is retained. Staff can scroll through previous exchanges with a guest to recall preferences and previous requests. And, unlike phone calls and in-person communication, conversations in the form of messages between the guest and a hotel represent data that can, for the first time, be analyzed individually and in aggregate. Messaging can help hotels improve guest satisfaction, by giving hotels the opportunity to take advantage of every request, suggestion, concern or compliment from guests. Since implementing messaging, Hyatt has enjoyed improved customer service ratings and higher net promoter scores. It can also – for the time being – still serve as a valuable differentiator between hotels and their competitors. Instead of having to make calls to the front desk, hotels can use messaging as a means to proactively communicate with their guests, instead of simply reacting. Messenger app can help hotels with guest recovery, by reducing comps and improving loyalty through engaging guests and resolving their concerns during their stay. Messaging can help hotels improve revenue by actively engaging more guests throughout their journey and by driving more revenue through mobile marketing, loyalty programs and up-sell and cross-sell opportunities. Starwood, for example, has seen clear ROI from its messenger app. Since launch, revenue is up thanks partly to a rise in spend at on-property services, the company says.